In El Salvador, when a military coup in 1979 sparked the formation of a leftist guerilla movement known as the Farabundo Martí National Liberation Front (FMLN), first the Carter and then the Reagan administration backed the anti-Communist junta in the ensuing civil war by supplying training, military equipment, arms and financial support totalling $6 billion. Much of the aid and arms ended up supporting the junta’s paramilitary death squads. In 1980, these death squads assassinatedCatholic Archbishop Oscar Romero during a sermon, and later that year raped and murdered four American nuns. In 1981, junta forces massacredover a thousand people, mostly women, children and the elderly, in the village of El Mozote. The perpetrators, the Atlacatl Battalion, had recently completed training with the U.S. military at Fort Bragg prior to the massacre. 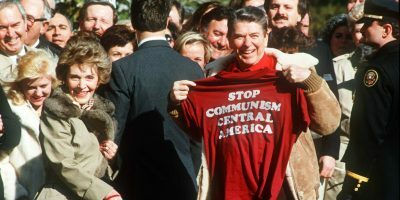 The CIA also funded presidential candidate and junta leader Napoleon Duarte prior to his election in 1984 in order to throw a wrench in peace talks, a move that dragged the war on for another eight years. Image on the right: Corporate media sources have engaged in a flurry of MS-13 coverage over the past two years. For Salvadorans, though, the fear is very real: In 2017, El Salvador had the most murders per capita on the entire planet (109 per 100,000), followed by Honduras (64 per 100,000), with Guatemala coming in at number nine (31 per 100,000). 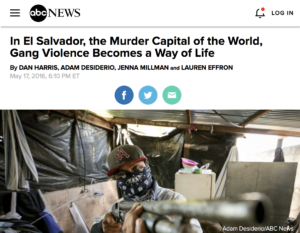 And with stories like “In El Salvador, the Murder Capital of the World, Gang Violence Becomes a Way of Life” (ABC News, 5/17/16) and “Organised Violence Is Ravaging Central America and Displacing Thousands” (Guardian,6/29/17), media have used that violence to fan fears of MS-13 making inroads into US cities and suburbs. 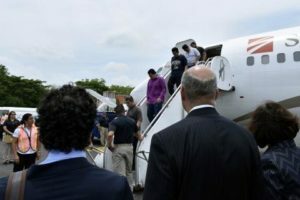 Image below: Obama Homeland Security Secretary Jeh Johnson in El Salvador overseeing repatriation of undocumented immigrants from the US in 2016. Increased deportations of Salvadoran gang members during the Trump administration will likely have the effect of further swelling gang membership numbers in El Salvador, which will in turn lead to more migration as Salvadorans flee gang extortion rackets and violence. Even police have reservations about the harsh immigration policies, and MS-13 gang members have acknowledgedthat deportation policies help expand their numbers. 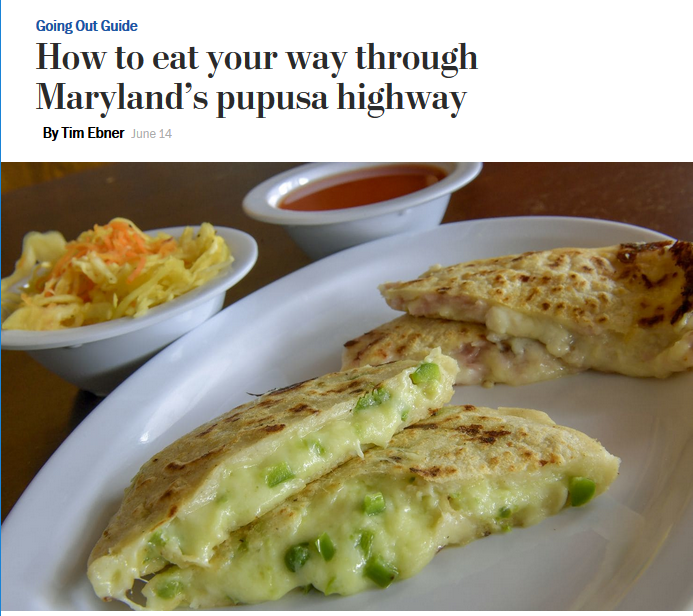 Image on the right: One of the few Washington Post articles (6/14/18) to mention the Salvadoran civil war in regards to the issue of immigration. The corporate press has done a generally good job of covering the staggeringnumber of human rights abuses of ICE, including the presence of immigrant detainment camps and the separation of over 2,000 child migrants and asylum seekers from their parents at the US/Mexico border. Other outlets have been better on connecting the imperialist history of US foreign policy with the current immigration issues, like Current Affairs (8/1/16), Vox (5/21/18), The Conversation (5/8/17), Vice (6/28/18) and the Philadelphia Inquirer (6/21/18). Even the Atlantic has published pieces (1/20/18, 3/4/18) that explore the web of US policies that have contributed to the current immigration crisis in Central America.